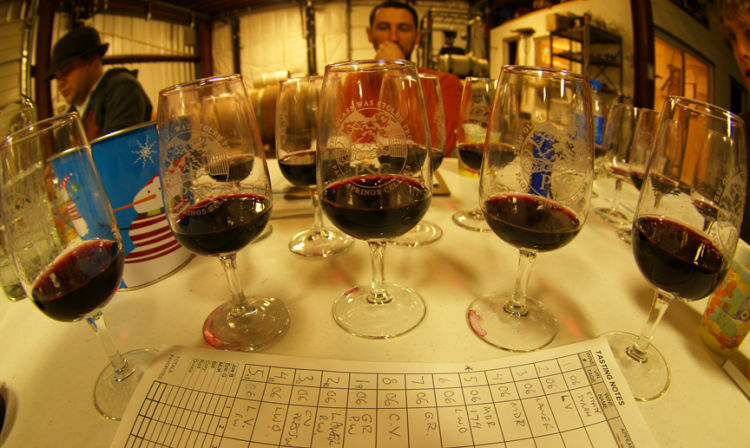 Barely had my feet on the ground and I was in the cellar blind tasting the 06 Syrah with the gang. Jet lag and a residual flu put an odd spin on my so called tasting skills, but I managed. Most of the 06 juice was pretty damn good. The free run was hands down better than the pressed wine. This years tannin levels were pretty high. I’m very hopeful.